NEW! BE THE FIRST TO OWN A POCKET DOCTOR! 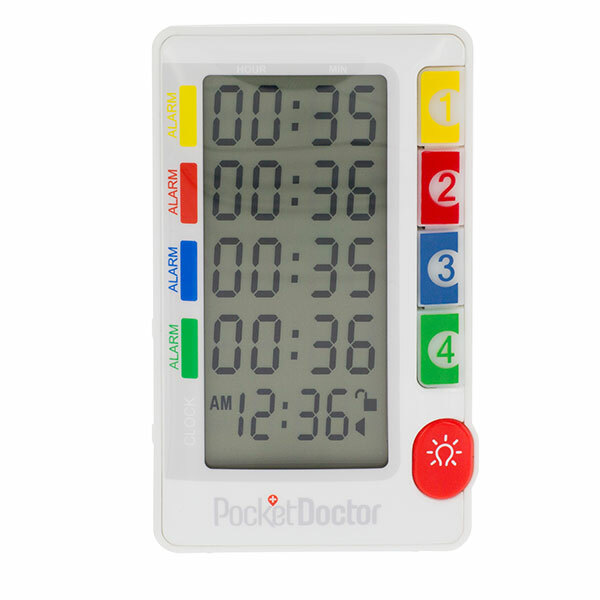 Pocket Doctor™ keeps track of multiple medication schedules with individual alarm notifications. The Pocket Doctor™ is a great reminder tool for those with multiple caregivers, multitasking moms, and newly independent college kids. 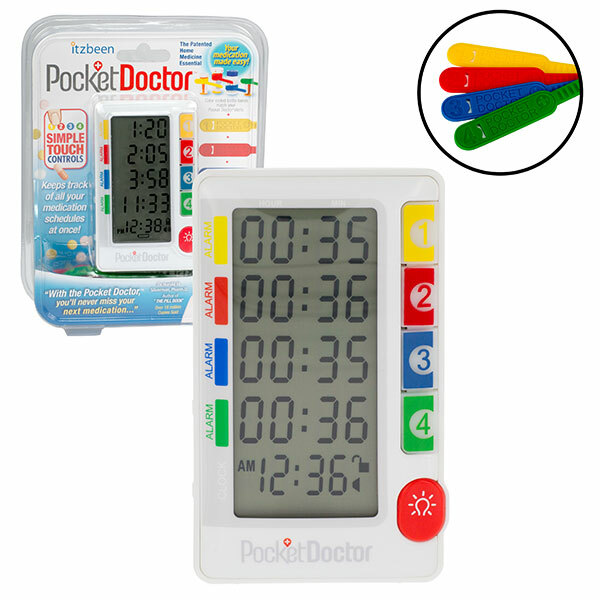 The Pocket Doctor™’s patented count-up feature tells you how long Itzbeen, since you took your last dose of medication. 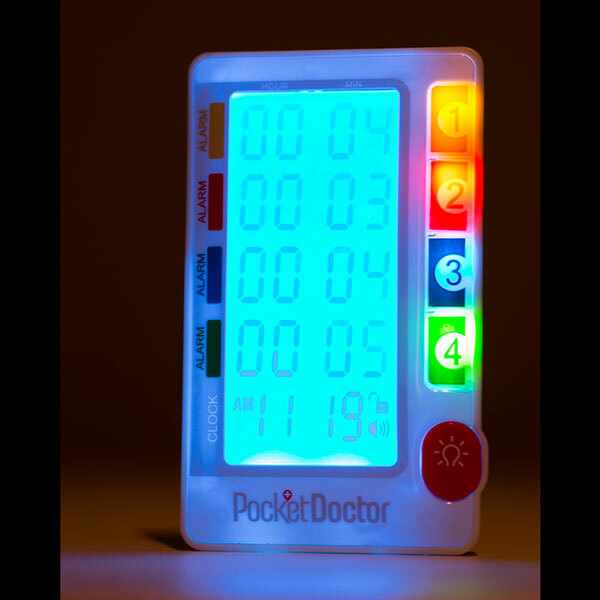 The Pocket Doctor™ is designed for portable and stationary use with its handheld, lightweight design and built-in stand. The button lock switch prevents accidental timer resets. The bands can be placed around prescription bottles, up to 2 inches in diameter or around two bottles at once if two medications need to be taken at the same time. Over-sized buttons provide easy use for elderly consumers with arthritis or with less than perfect eyesight. The built-in backlight feature makes for easy reading in the dark. 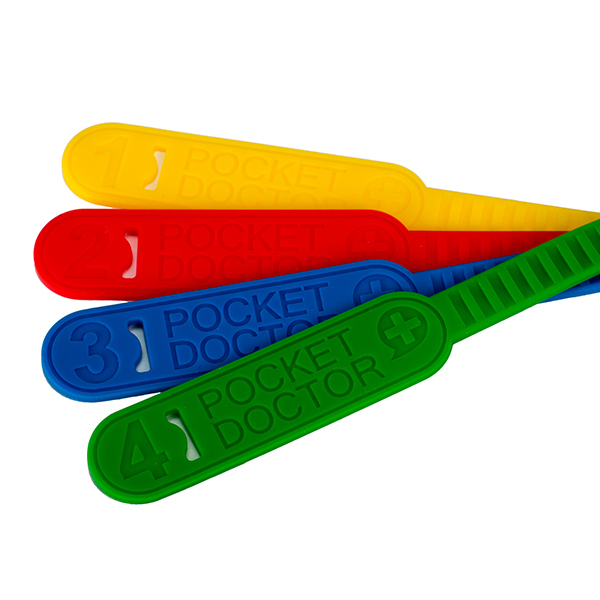 The Pocket Doctor™ consists of four distinct, unique colors, easy to decipher even for color-blind consumers. 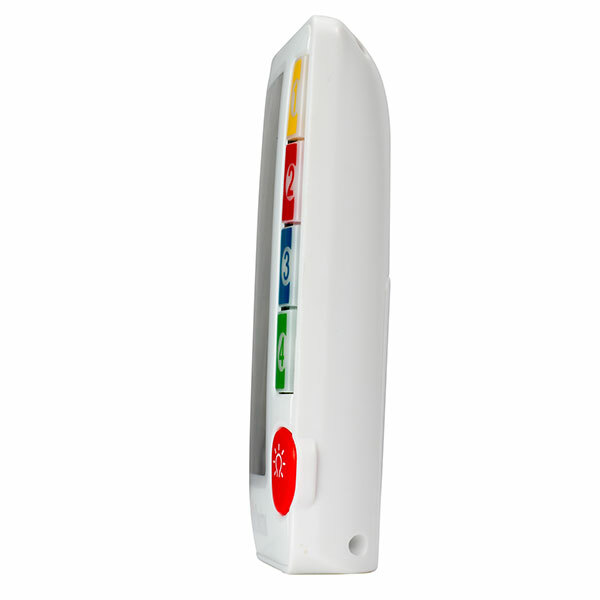 The alarm is at decibel level of 80 dBA so that even the hard of hearing will be alerted.